The Wesley Singers is a choir of about 38 members who come from various churches within the Yorkshire West Methodist District. 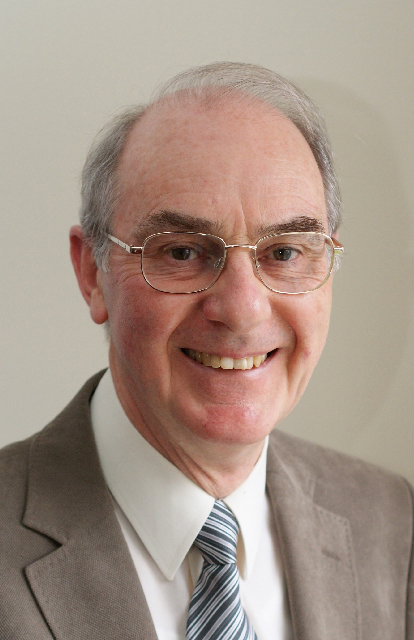 Its President is the Revd Dr Roger Walton, Chair of District. The group was formed in 1985 under the direction of David Carr specifically to introduce the new hymn book, Hymns and Psalms. Now, more than 30 years later, the choir gives ten or more concerts each year as well as taking part in worship services. The Wesley Singers is pleased to accept invitations to sing in chapels throughout the Yorkshire West District (and beyond!). Its concert programmes are based on sacred music together with lighter secular items, solos, readings and humorous monologues. We really enjoyed the performance of The Wesley Singers at Northcliffe Church on Saturday. Many people have commented to us on how much they enjoyed the concert. Please pass on our thanks to all involved. Your suggested title of "Music and Mirth" was an excellent choice as we all laughed so much and of course thoroughly enjoyed the singing and excellent piano playing. The money raised will go to our special fund-raising pot and help towards one of our planned projects at Northcliffe. Pat and Barry Jordan met at Bretton Hall College of Education whilst teacher training. Their first home was in Pudsey where Pat taught at the Grammar School and was organist at St Andrew’s Central Methodist Church. Barry taught music in schools in Bradford and in 1978 became choirmaster at St Andrew’s, a post he held until 1990. During this period he was also Musical Director for both Rawdon Amateur Operatic Society and Buttershaw Amateur Operatic Society. Pat taught piano at Bradford Grammar School from 1988 to 2013 and was the accompanist for Otley Choral Society from 2000 to 2017. She has accompanied the Wesley Singers since 1988, and in September 2003 Barry joined the Wesley Singers on the retirement of their founder conductor, David Carr. Barry became deputy conductor for Otley Choral Society in 2008 and from September 2015 was musical director for both Ilkley and Otley Choral Societies, retiring in April 2017 after conducting a total of 18 major concerts for the two societies. Pat and Barry live in Calverley where Barry is Organist at the Methodist Church. In 1998 they joined with other musicians and the choir at the church to give a palm court concert. The ‘Palm Court Quintet and Singers’ gave 79 concerts between 1998 and 2016 at churches in the Leeds Bradford area. Pat and Barry are also members of the Dalehurst Trio which regularly gives concerts and performs music for flute, violin and piano.